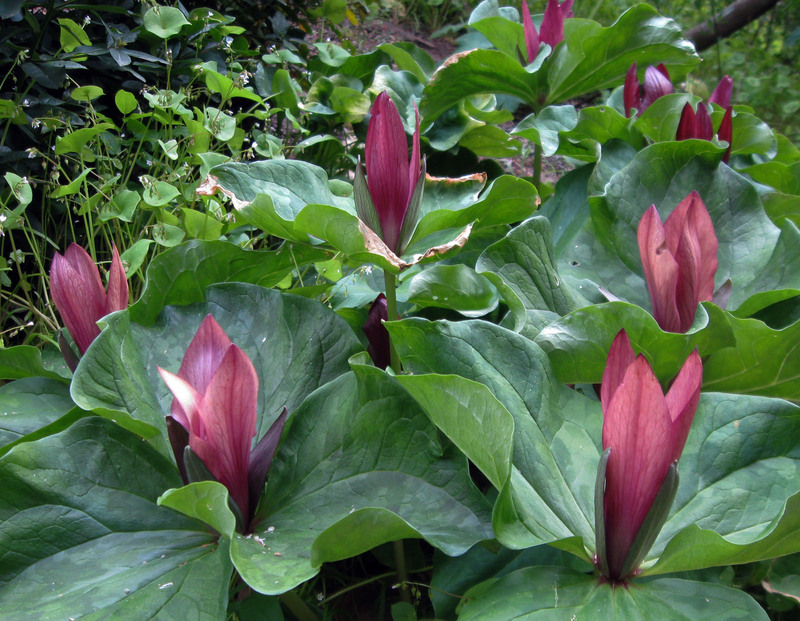 The plant sale at the Tilden botanic garden is tomorrow. Anita is a docent at the garden, so we’ll be volunteering at the sale, getting our retail on. I’ll be the guy telling everyone to buy a Ribes. 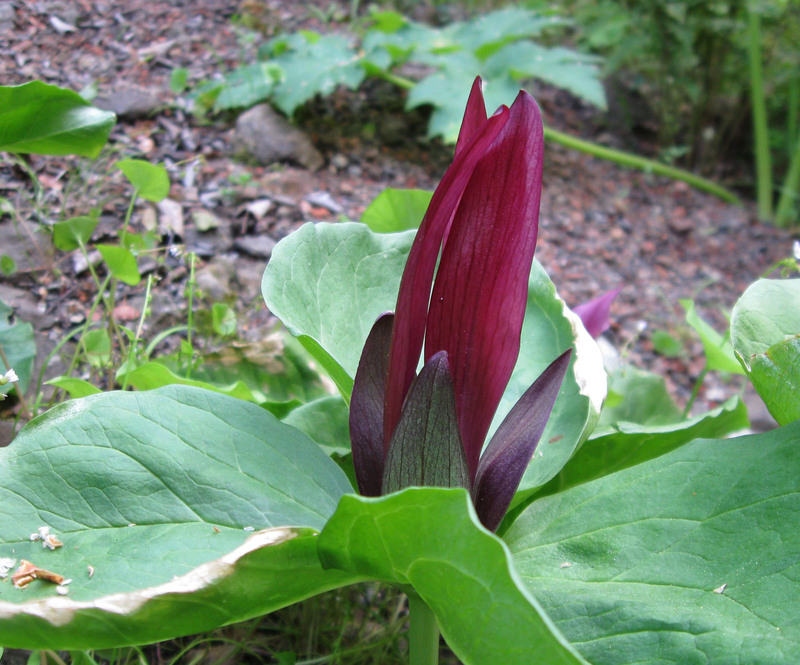 The highlight is the Trillium stampede at the beginning of the sale. 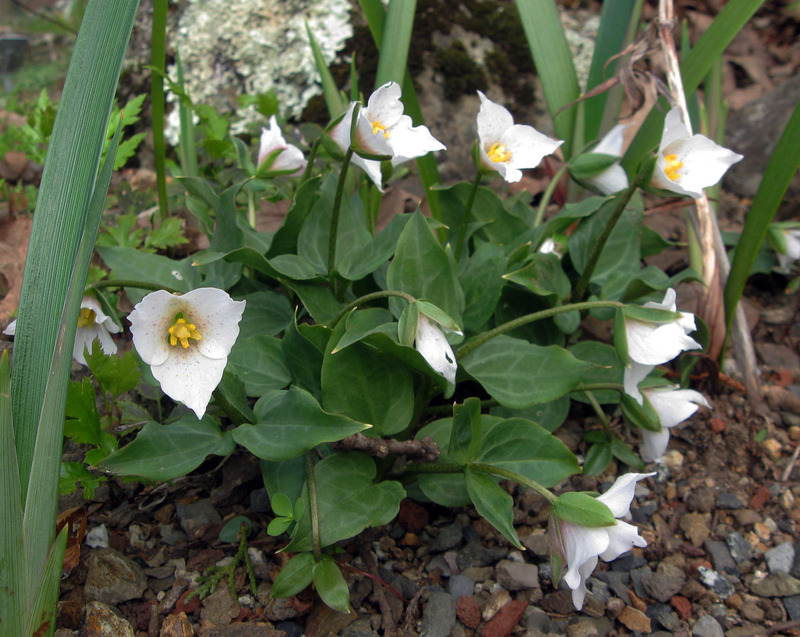 People line up about an hour before the plant sale and then sprint to the Trilliums when the sale opens. I have seen people fall, but so far no plants or people have been injured. 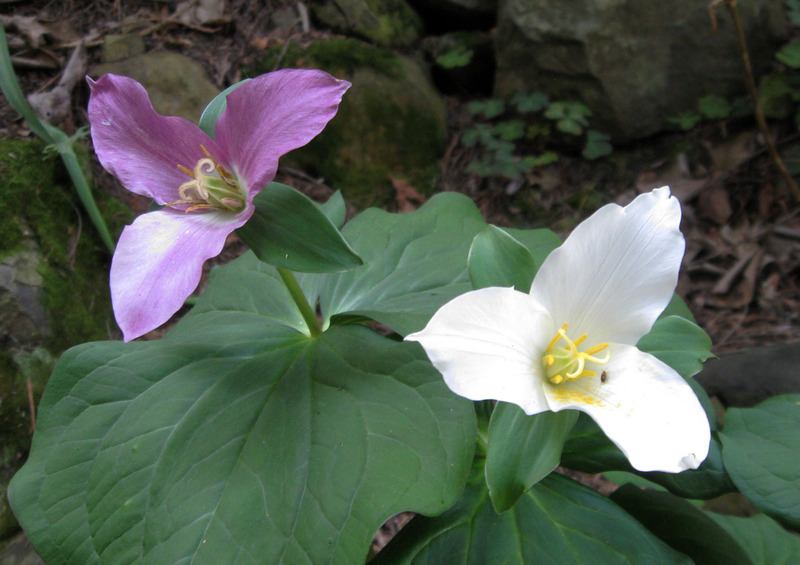 I can’t say I blame folks for wanting a trillium; they’re beautiful and there aren’t many opportunities to buy one. 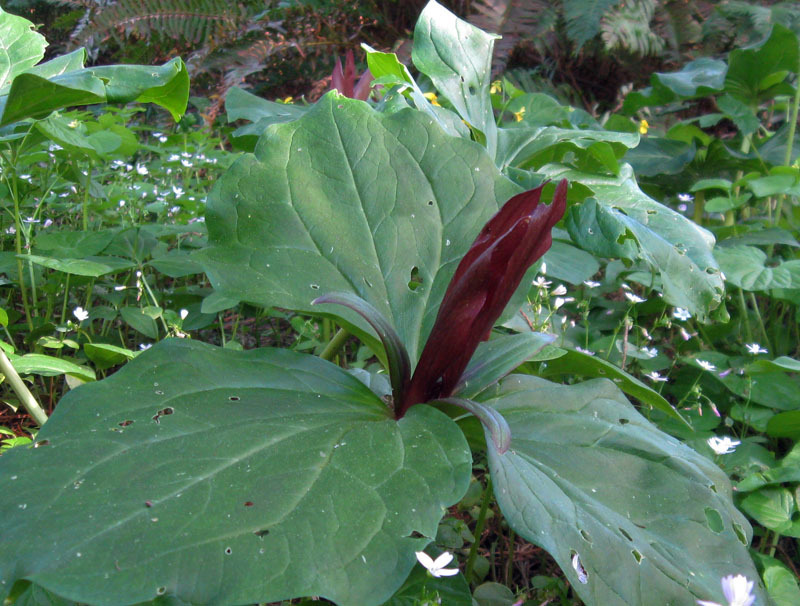 I have photos of five, T. ovatum, the two chocolate and white versions of T. chloropetalum, T. angustipetalum which looks a lot like the dark T. chloropetalum, and little T. rivale in the Tilden garden. I’m not positive they are still blooming, but if they aren’t, there will be lots of other things to take their place. The more time I spend at Tilden, the more I appreciate it, and now is the time when it looks it’s best. This entry was posted on Friday, April 16th, 2010 at 7:03 am and is filed under public gardens, tilden. You can follow any responses to this entry through the RSS 2.0 feed. You can leave a response, or trackback from your own site. Ah, never mind. I bought one from Digging Dog and it promptly got overwhelmed by the redwood sorrel. 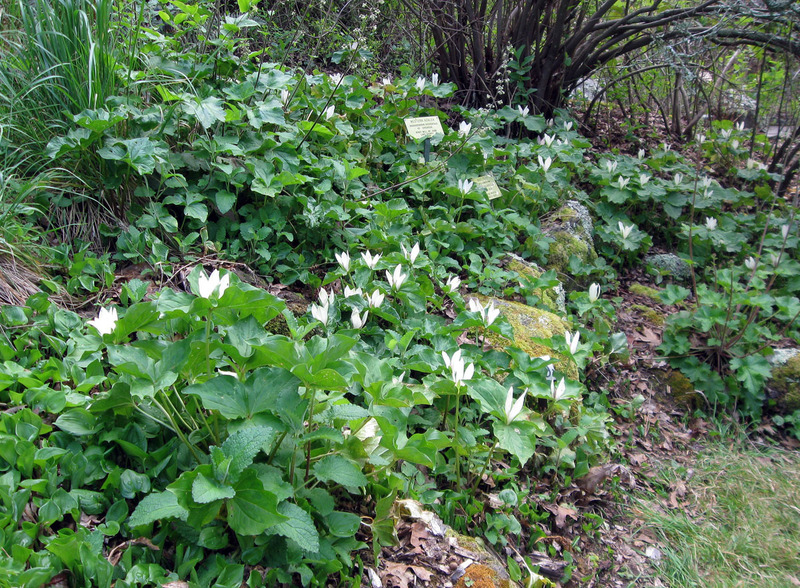 Wow, I’ve never seen so many trillium in one spot in the wild. They must be well cared for. I’m actually thinking of going to the sale to buy a ribes or two. I’ll probably see you there. The Tilden sale is the bot garden sale I go to. Maybe I should go to more. I’m not sure I could get my hands on one. People really do sprint to them, and then they’re gone in thirty seconds. I didn’t know that you had bought one. Is it still alive or did it succumb? If you want to buy a Ribes, I might be the one to talk to. See you there. 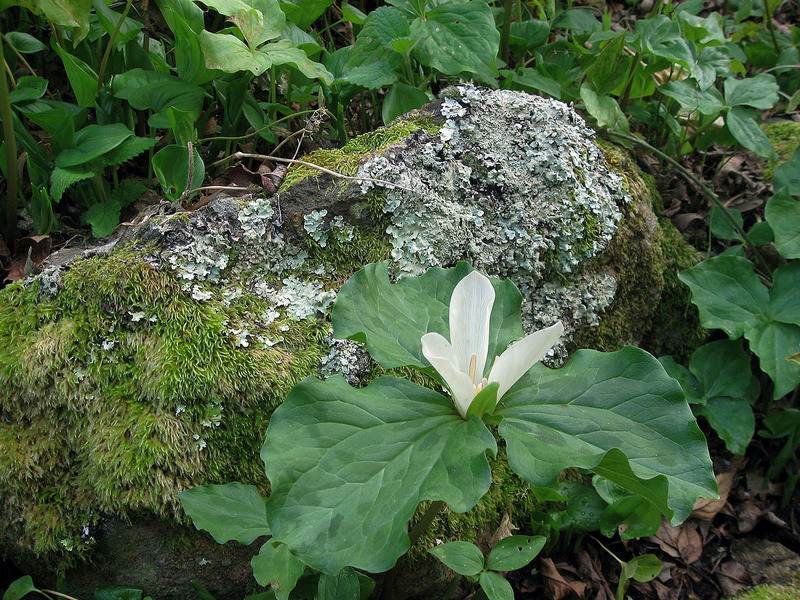 My mother who grew up in Ohio loved and talked about trilliums, but I as yet have to see one in the wilds. Santa Barbara/Point Conception seems to be as far south as they venture. Ribes, though–yah, we’ve got a few. I hope you were able to talk some people into some plants. It’s down at the bottom of the post here on this page, but yeah, good point, I’ve been meaning to make the date more noticeable. 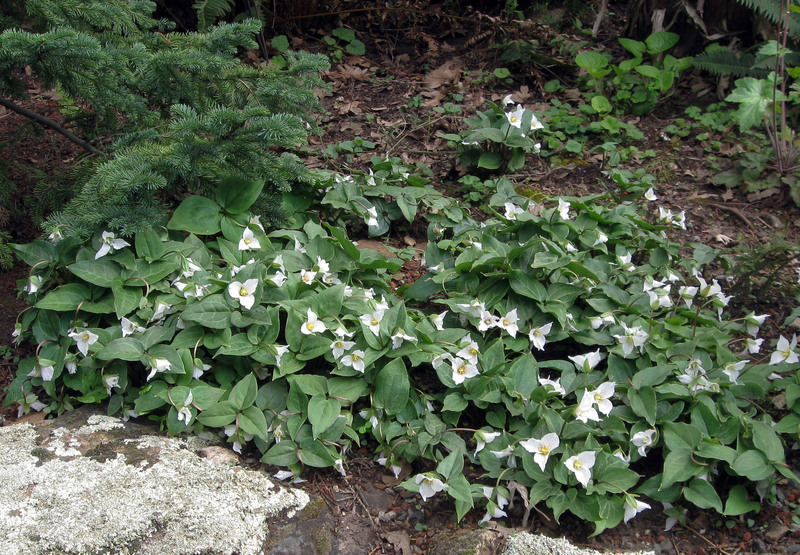 The Trilliums bloom in the spring, this post was on the 16th of April. They are in a few different parts of the bot garden, shady woodland sites. You can find them in moist woodland areas hiking, several different kinds. They are all dormant now.